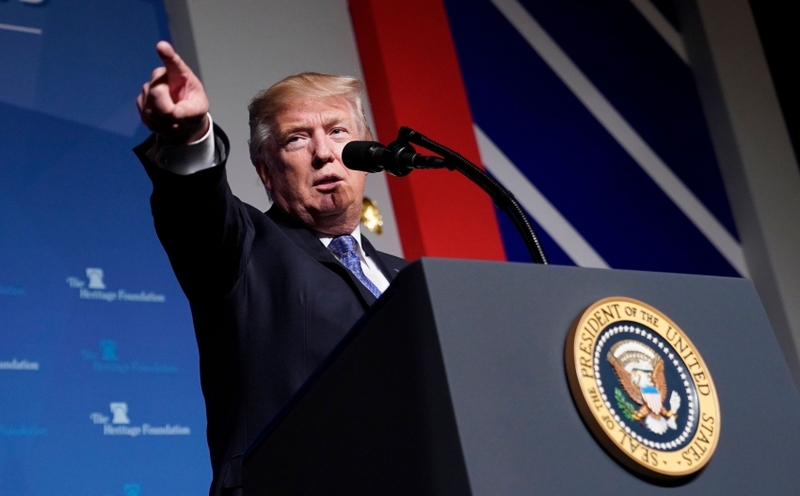 President Trump has laid the groundwork to launch a crackdown on the censorship of conservatives by liberal social media platforms including Facebook and Twitter. According to Bloomberg News, an Executive Order has been drafted that will instruct law enforcement and federal antitrust agencies to open probes into the “platform bias” of Google, Facebook and Twitter in regards to the censorship and suppression of conservative voices on social media. The executive order is in its preliminary stages and hasn’t yet been run past other government agencies, said a White House official. If signed, the order would represent a significant escalation of Trump’s aversion to Google, Facebook, Twitter and other social media companies, whom he’s publicly accused of silencing conservative voices and news sources online. The press offices of Google, Facebook and Twitter didn’t respond Saturday to emails and telephone calls requesting comment outside of normal office hours. The draft Executive Order is awaiting Donald Trump’s signature. The draft order directs that any actions federal agencies take should be “consistent with other laws” — an apparent nod to concerns that it could threaten the traditional independence of U.S. law enforcement or conflict with the First Amendment, which protects political views from government regulation. Attorney General Jeff Sessions has already launched a probe into the practices of tech giants. Growing movements on the right and the left argue that companies including Google and Facebook engage in anti-competitive behavior. The companies reject the accusation, arguing they face robust competition and that many of their products are free. Bias has not typically figured in antitrust examinations.